Summer holidays are the time to have fun and relax as a family. 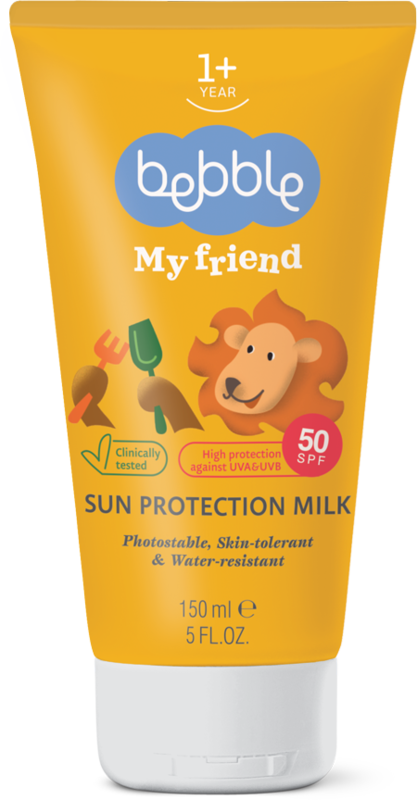 And Bebble Sun Protection Milk is everyone’s best friend; from cheeky toddlers, to teenagers and parents. Meaning you’ll only have to pack one single product to protect the entire family. Bebble’s Sun Protection Milk contains a complex of filters that protects the skin from harmful UVA and UVB sun rays. The water-resistant formula is suitable for face and body. Vitamins and hydrating agents actively nourish the skin. Apply liberally to exposed parts of the body, avoiding the eye area. Apply 20 minutes before sun exposure. 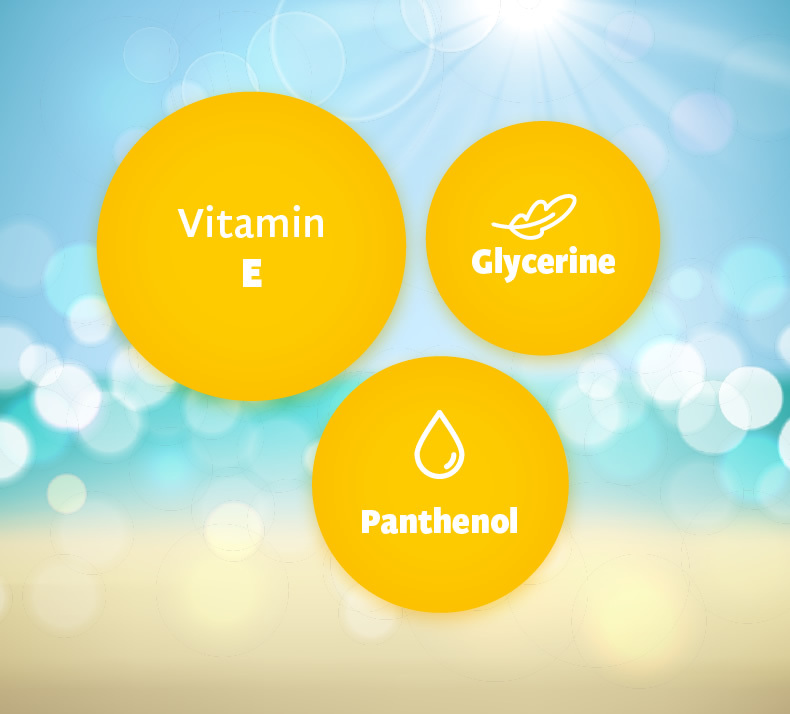 For guaranteed protection, use 1 ml sun protection milk per 10 cm² skin. 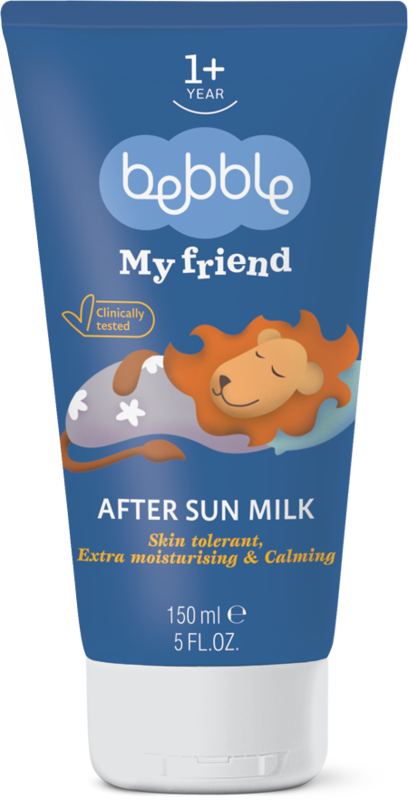 For children up to 1 meter tall, use about 15-20 ml of Sun Protection Milk for one full body application. In strong, direct sunlight, use every 2 hours. Reapply after swimming, towel-drying or heavy sweating. IMPORTANT! Do not expose babies and small children to direct sunlight. Avoid going out in the sun between 10am and 4pm. Follow the guidelines for use described above. Using less product than advised will lower the protective action. On summer holidays, be sure to pack light, cotton clothing as well as sun-hats and sunglasses, and make sure your children get plenty of liquids. 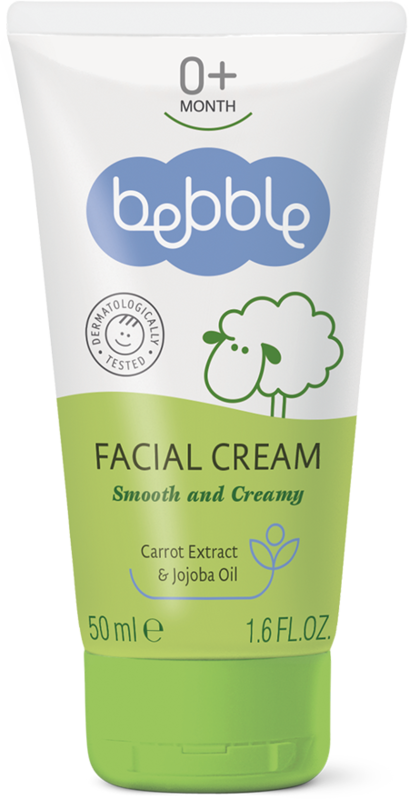 Also known as pro-vitamin B5, D-panthenol gives the skin a soft and smooth appearance. It penetrates the outer skin layer and maintains the skin’s natural moisture balance, whilst at the same time stimulating cell growth and regeneration. Vegetable glycerine is derived as a by-product of vegetable oils in the production of soap. It is completely harmless for the body, and has a calming and moisturizing effect on the skin. It stimulates skin regeneration, leaving it fresh, soft and smooth.